Maybe it's the explosion of research and publications surrounding the state of American food production, like Michael Pollan's In Defense of Food and the 2008 documentary Food, Inc. Maybe it's a dreamy Jeffersonian desire to return to the land in the midst of the digital revolution, driven by nostalgic hipsters and modern homesteaders. Maybe we, as Americans, are just fed up with the way we've been cooking and eating (Credit: Kodua Galieti). Whatever the reasoning is, many Americans are exchanging packaged, factory-produced, and fast food for something a little slower and a little more hands-on. As Pollan wrote in a 2012 New York Times article, "In the last couple of decades, a new economy of farmers' markets, community-supported agriculture (also known as farm shares) and sustainable farming has changed the way millions of Americans eat and think about food. People by the millions have begun, as the slogan goes, to vote with their forks in favor of more sustainably and humanely produced food, and against agribusiness." Cooking from scratch is on the rise; many individuals are becoming truly interested in where their food is coming from and what, exactly, they're putting into their bodies. As a result of a long couple of decades of packaged food, many writers -- especially food scientists, anthropologists, and some chefs, like Jaime Oliver, who champions the so-called "food revolution" and has found that many American schoolchildren can't correctly identify fresh food -- argue that we've become disconnected from the food that we eat, and many of us find, in practice, that this is true: we are daunted by the prospect of what it means to feed ourselves from scratch; we simply don't know how to do it. Luckily, not all of us have forgotten how to cook from scratch -- how to bake bread, prepare a cut of meat, and preserve the garden's best. Across the country, individuals with know-how and an intense zeal for "real" food are excited about sharing their knowledge with those interested. Many of these individuals, like Camas Davis of the Portland Meat Collective and Ricki Carroll of the New England Cheesemaking Supply Company, couldn't find resources here in the United States when they became interested in learning how to, say, butcher a pig or make cheese at home. But thanks to their determination in seeking out experts internationally, educational opportunities now exist across the U.S.: Food classes, led by these passionate people, have cropped up with the intent of helping us eat better food and enjoy our food -- and the process of making it -- more. Home cooks, rejoice: you can now take a class to learn how to do just about anything in the kitchen, from raising bees to jarring the honey they produce to using that honey as a sweetener in a loaf of bread. We researched the country's best offerings to find the following 40 hands-on food classes. These are all classes for home cooks, not trained professionals. They were chosen based on the thoroughness of the education and the relative cost of the program, as well as the mission and focus of the organization and how widely the organization reaches. One class in each of the eight categories (beekeeping, bread-baking, butchering, coffee-making, cheesemaking, food preservation, foraging, and homebrewing) was chosen as the best based on these criteria -- but we also know that there's a good chance that a home cook in Rhode Island isn't going to plan a trip to Oregon for a class on butchering, no matter how good the class might be. So in addition to the one class we've deemed best, we're including similar classes in other regions of the country. Still too far to trek? Not to worry: we found the best online guides, too. 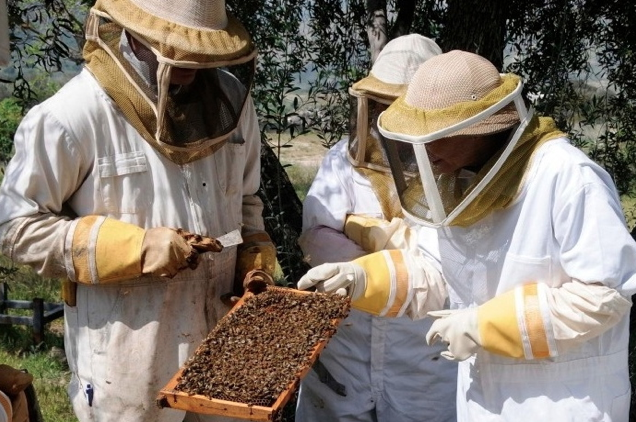 Each of the instructors we talked to seemed to stress that the skills they teach aren't just for master chefs or experts: anyone can learn to keep bees, or butcher their own meat, or brew the perfect beer or cup of coffee. The classes they teach may not make you an expert, but they will leave you with the knowledge you need to get started. As they say, knowledge is power, and we think these classes have the power to change your life -- not to mention the way you eat.